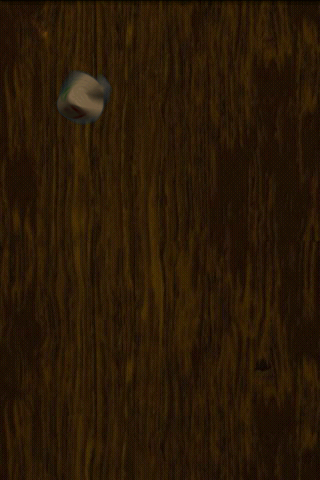 Dreidel for Android is a dreidel simulator for Android devices. 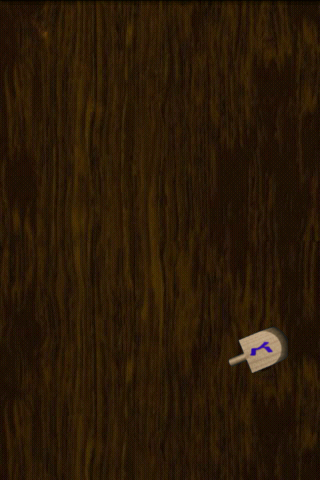 Now you can spin the dreidel anywhere at any time on your Android phone! Includes beautifully rendered 3D graphics with motion-blur and sound effects that make it feel like the real thing. Tilt the phone to keep the dreidel from falling off. Grab some chocolate gelt and some friends, and play today! Dreidel can be downloaded from the Android Marketplace. Randomly chooses which letter the dreidel lands on. Device Requirements - Henry's Halloween Adventure runs on any Android Phone, version 1.5 and higher. Mark Roth takes no responsibility for any adverse effect that this software could cause to your machine or the data on it: backup important data before using Dreidel for Android. Dreidel for Android is protected by copyright laws and international copyright treaties, as well as other intellectual property laws and treaties. Dreidel for Android is licensed, not sold. You may not reverse engineer, decompile, or disassemble this software. Mark Roth and his suppliers' entire liability and your exclusive remedy shall be, at Mark Roth's option, either (a) return of the price paid, if any, or (b) replacement of the product that does not meet the warranty and which is returned to Mark Roth with a copy of your receipt. This warranty is void if failure of the product has resulted from accident, abuse, or misapplication. Any replacement software product will be warranted for the remainder of the original warranty period or thirty (30) days, whichever is longer. These remedies are not available without proof of purchase from an authorized source. Written permission must be obtained before distribution of this game, either in demo form or full form, through any online or offline methods. Copyright (c) 2010, Mark Roth.